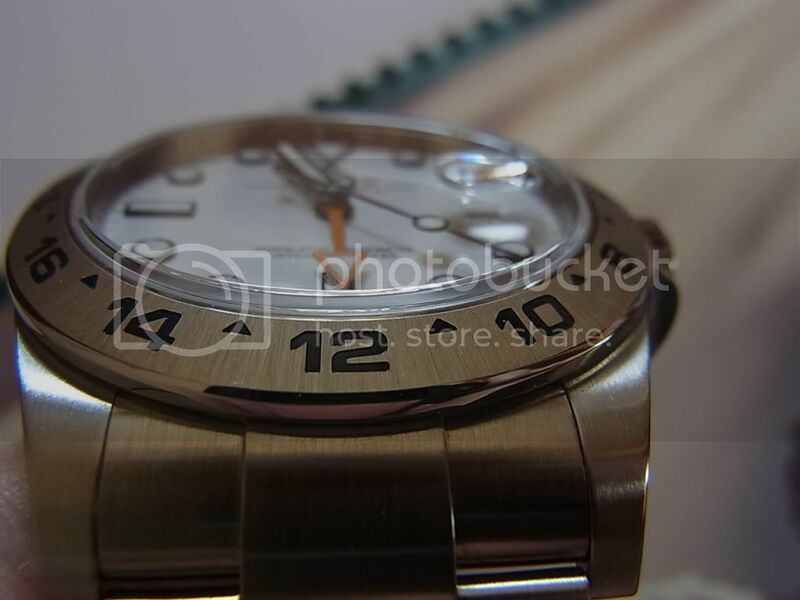 Discussion in 'Watch Reviews' started by SPACE-DWELLER, Mar 14, 2012. 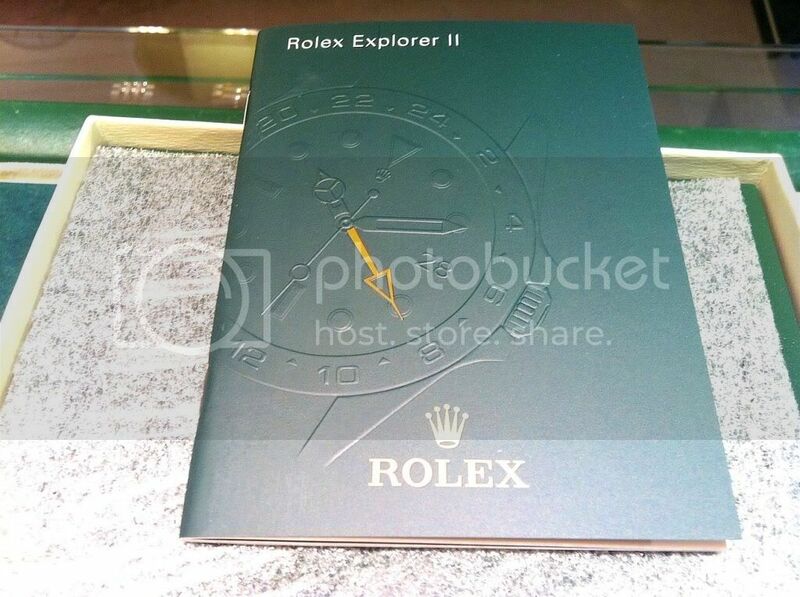 In 1971, Rolex released the Explorer II ref. 1655. 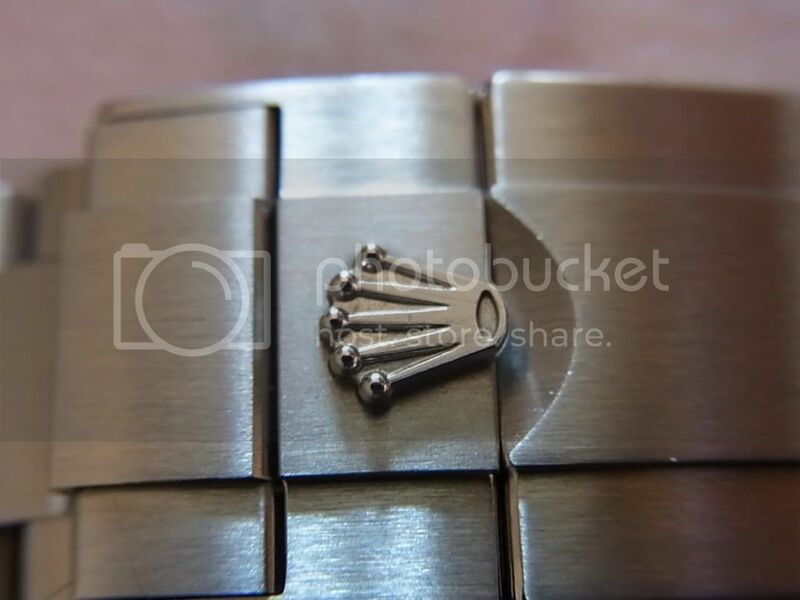 This tool watch featured a 24hour hand, fixed engraved bezel with 24hour graduation and was only availible with a black dial, and only in steel. The 24hour hand always stayed syncronised to the time the watch was telling... in other words, the Explorer II 1655 was not a "GMT" watch since you could not adjust the 24hour hand independently of the hour hand. Rather, the 24hour hand - combined with the 24hour graduated bezel - was used to tell the wearer of the watch whether the hour hand is referring to for instance 10 o' clock AM or 10 o'clock PM; particularly useful to speleologists (cave explorers) who spent a lot of their work in dark caves, resulting in the cave explorers losing any notion of whether it was day or night outside the cave. 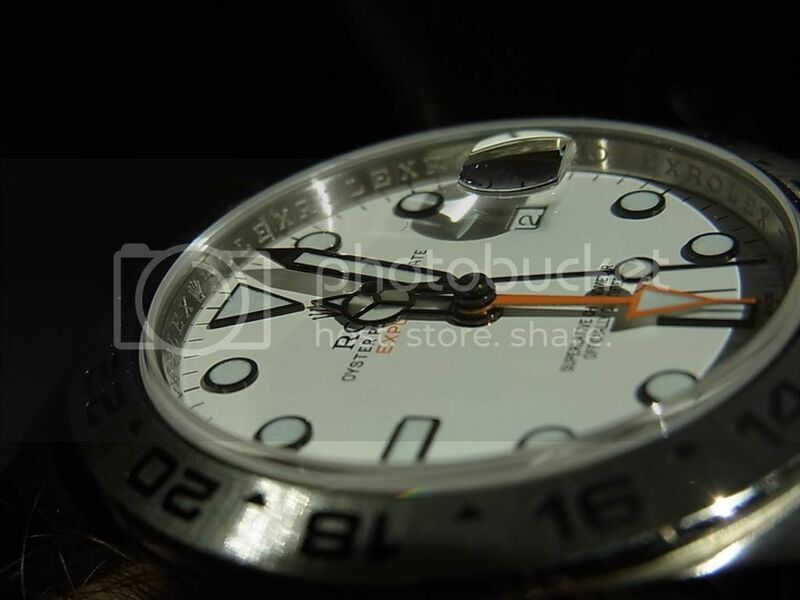 The dial and hands design of the 38mm diameter and 13.5mm thick Rolex Explorer II 1655 was quite unique; initially at its release featuring a straight seconds hand and a a big orange 24hour hand. Due to the rather big and bold 24hour hand, the Explorer II 1655 was nicknamed "Freccione" (meaning "Arrow") by Italian collectors. 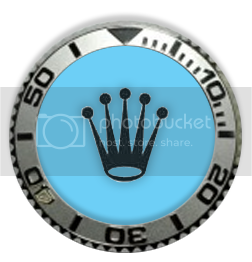 The design of the hour and minute hand was unique, too, with a matte part around the hands stack, making the hands appear to "float" on the dial... no other Rolex watch used or has been using them since in quite this form, although Rolex besides the big orange 24hour hand made a historical nod to those "phantom" hands in 2011 with the release of the Explorer II 216570 (black dial). 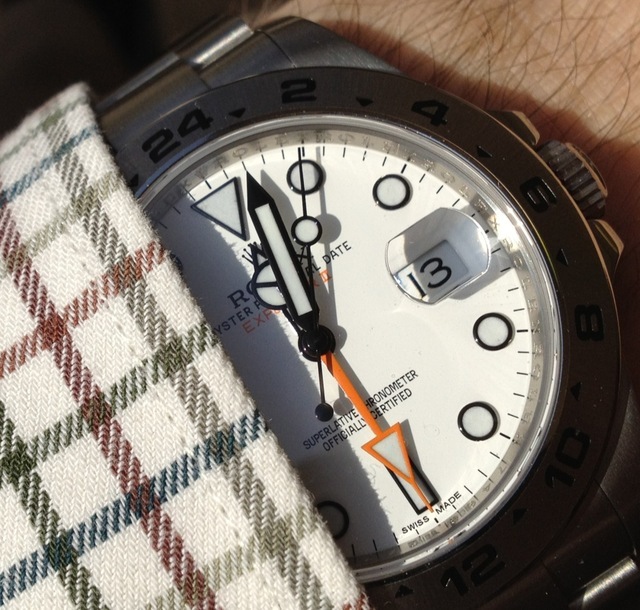 The Explorer II 1655 also featured small square hour markers corresponding to the uneven numbers on the fixed bezel. 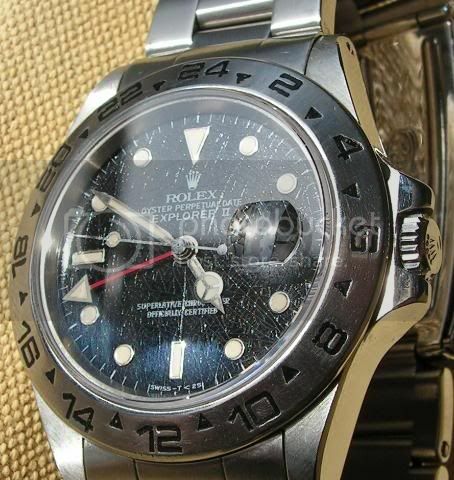 Mr M. Siegel also claims that the Explorer II remained in that form ("2" above) until it was discontinued in 1985. 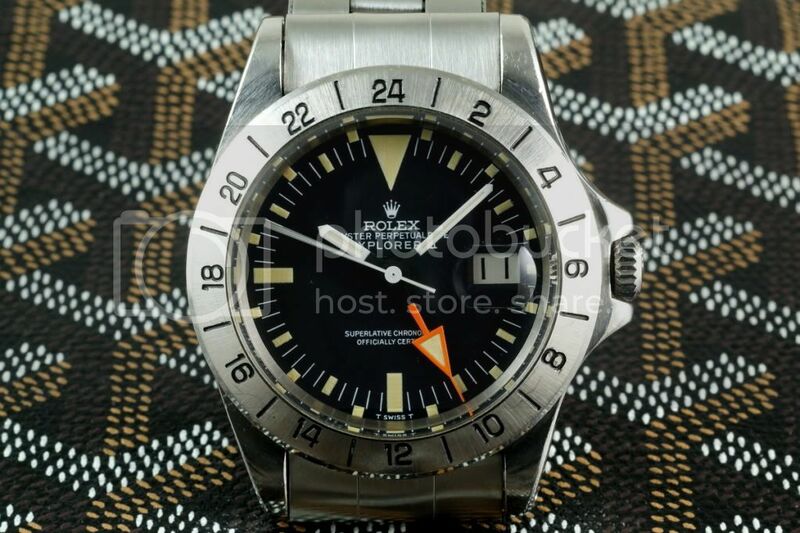 Rather, for a very brief period circa 1978 the 24hr hand was a different deeper shade of orange but was quickly changed back to the standard colour and stayed that way up until the Explorer II 1655 was discontinued. Most people assume the hand changed colour in 1975 because the 1655 brochure/booklet at that time showed a "redder" hand in the picture. This was a printing problem only. Over the past 40yrs the orange hands have been very prone to fading - some way more than others depending on exposure to the sun. 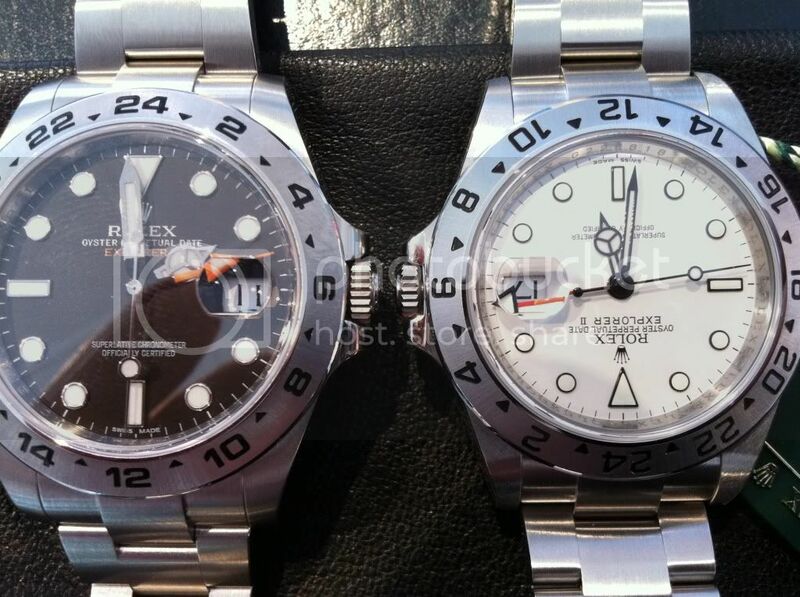 In 1985, the Rolex Explorer II 16550 was launched. Although still being 40mm in diameter, this Rolex was radically different from the predecessor model in as much as the 24hour hand was now de-coupled from hour hand, making the wearer of the watch able to move the 24hour hand back and forth in 1hour intervals, independent of the hour hand. In other words, the Explorer II 16550 could now be used as a "GMT" watch (although only able to track two time zones at a time). Furthermore, the design of the dial and hands was changed, leaving almost no resemblance to the Explorer II 1655. The Explorer II 16550 now had the Rolex typical skeleton (also known as "Mercedes") hands and a red GMT hand with a smaller, red triangle. There was also an option for either a white or black dial. 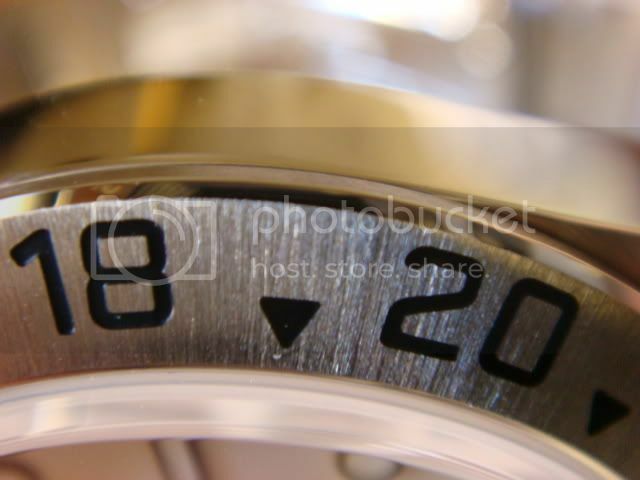 The satinised bezel featured rather big and bold, fairly deeply engraved numbers. 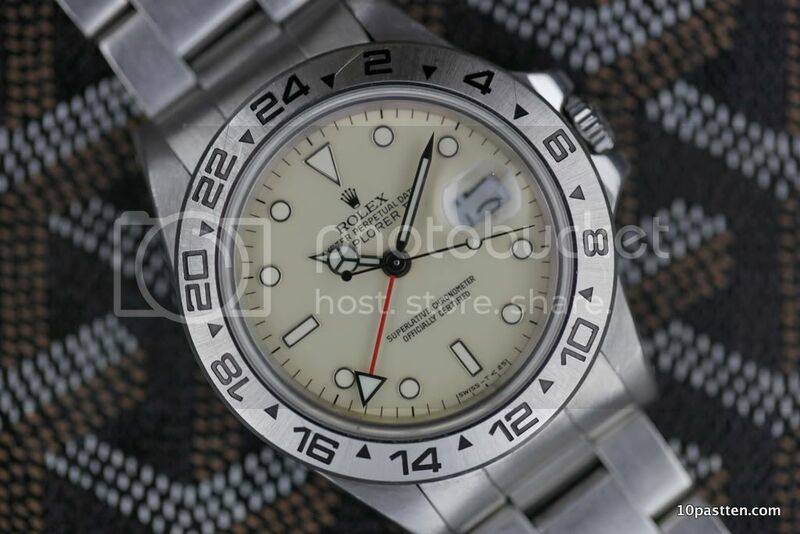 Originally, the white dial Explorer II 16550 had unpainted dot hour markers... most likely made of white gold because Rolex switched from using steel hands and markers around that time. In 1985 it received another update: The movement was changed from Cal. 3085 to Cal. 3185, and the model reference number was hence changed to 16570. Apart from the M-series and onwards where it received the Cal. 3186 with the inhouse made Parachrom Bleu hairspring, the Explorer II 16570 continued virtually unchanged until 2011 when the Explorer II 216750 was released; one year later than expected / rumoured. 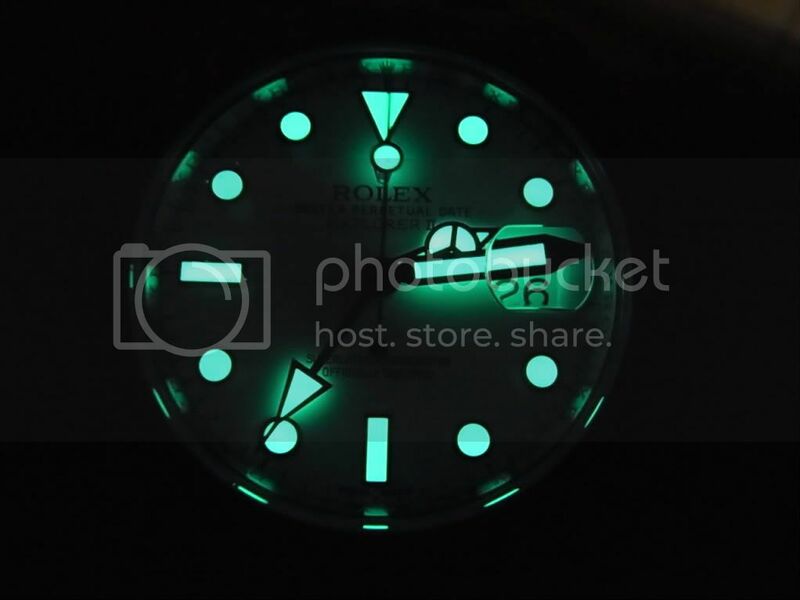 In my opinion, like on the Rolex Deepsea Sea-Dweller, also on the Explorer II 216750 Rolex managed to make the larger case look more proportioned due to those tapering lugs. 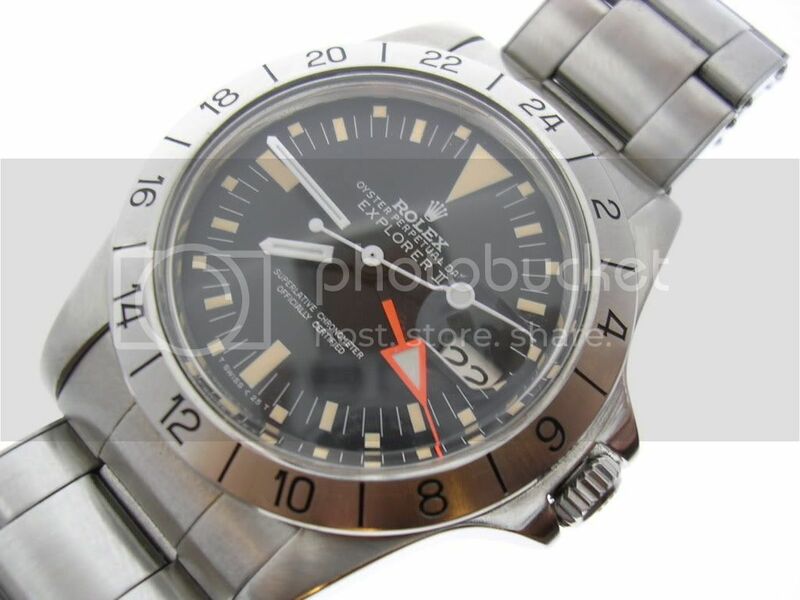 Although I would have preferred a Triplock winding crown on the Explorer II 216570 like on the GMT II 11671x models, in my opinion the larger Twinlock crown still looks good on the watch. 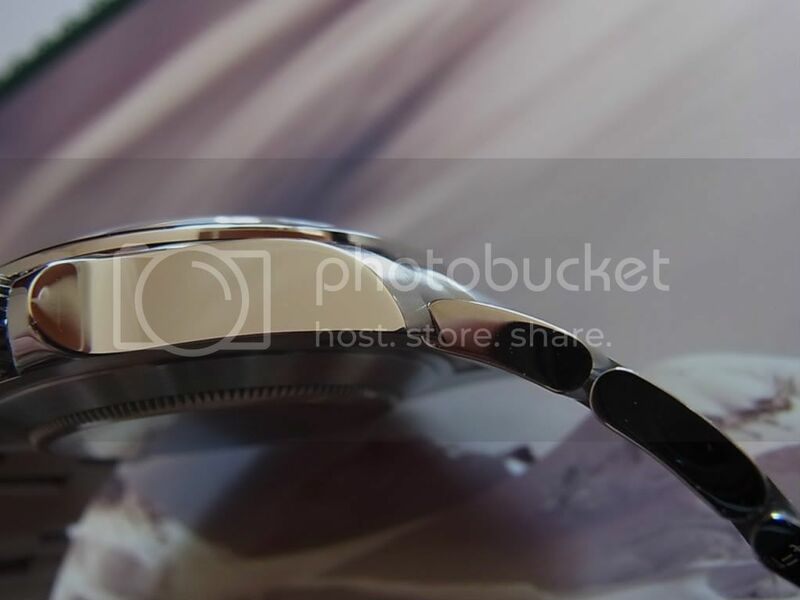 The caseback sits fairly low, in fact making the watch not much thicker than the Explorer II 16570. With all links installed and with the Easy Link folded in, the Explorer II 216570 sits extremely comfortably on my wrist. I believe the low-lying caseback adds to this comfort. 5 links on the 6 o'clock side (2 with screws) and 7 links on the 12 o'clock side (4 with screws). Easy Link is not included in the count. I was pleased to see a bigger crystal on the Explorer II 216570! The higher standing crystal makes the new Explorer II slightly thicker than its predecessor model but also makes it look more "old fashioned"... a look which I like. 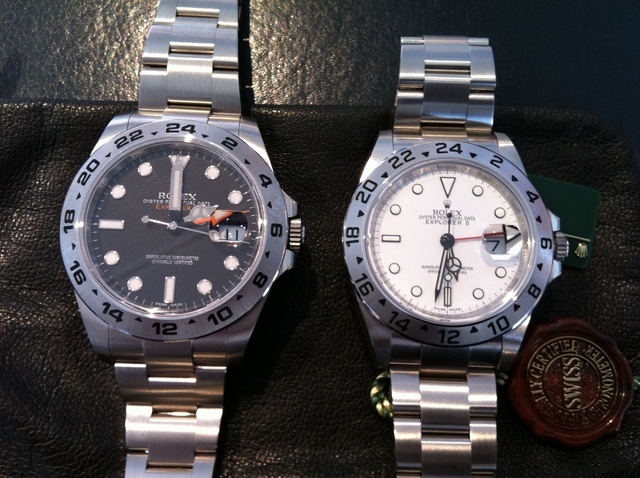 Like the Explorer II 16550 and 16570, the new Explorer II 216570 comes with a choice of either a white or a black dial. I chose the white dial since I find it easier to tell the time from and because I simply prefer the white dial on the Explorer II which also is a nice change to the black dial of my Daytona 116520. 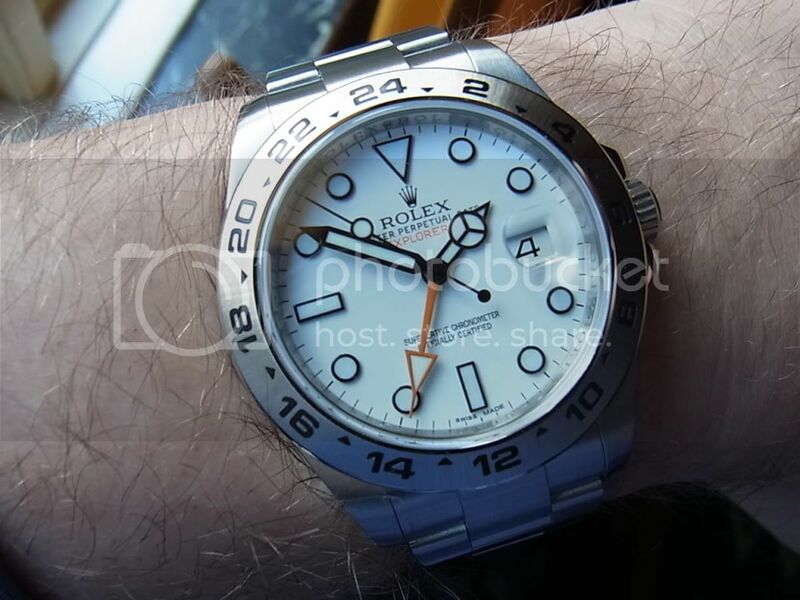 Another reason as to why I opted for the white dial Explorer II 216570 is that (as stated earlier) Rolex made a tribute to the first Explorer II 1655 by adding "Phantom" hands on the new model 216750. However, in my opinion the blackened parts should have been matte instead of glossy which does not match the matte (Rolex calls it "satin finished") black dial of dial. 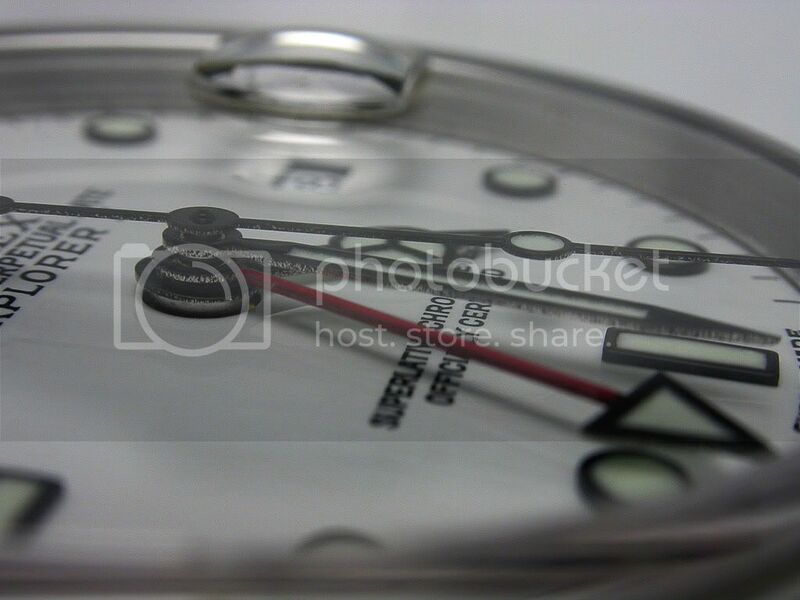 Furthermore, the hands of the black dial new Explorer II have unequal amounts (i.e. 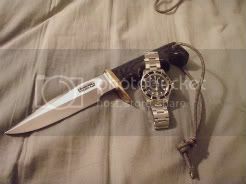 : not the same length) of black pain on the hour, minute and GMT hand which spoils the design in my opinion. The Cal. 3187, featuring the inhouse Paraflex shock protection system and Parachrom Bleu hairspring. Now, the question is: Both featuring a GMT feature, is the Cal. 3187 identical to the Cal. 3186 apart from use of the inhouse shock system instead of using the outsourced (SWATCH Group) KIF system? Answer is Yes... and NO. They made the movement bigger, too! This is what makes Rolex so special! One could argue that the Deepsea Sea-Dweller is 44mm, yet it still has the Cal. 3135 (with the blue hairspring) inside. So why did the Deepsea not receive a bigger movement? Because - combined with the Ring Lock system and Titanium caseback, the Deepsea also has a thicker case (more "meat") around the movement to cope with the 4,875 metres it's tested to withstand under sea-level. ALL of the above ran slow (typically minus 2-4 seconds/day) straight from the box. Evidently, it got a 99.99 positive score. 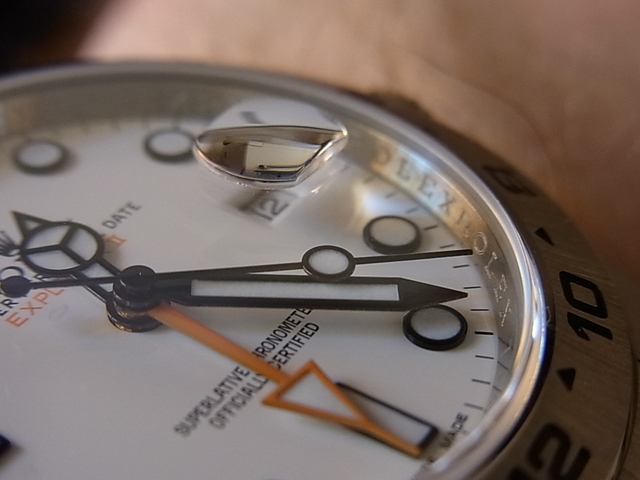 Only slight gripe I have is the (in my opinion) too faint orange "Explorer II" writing on the dial. 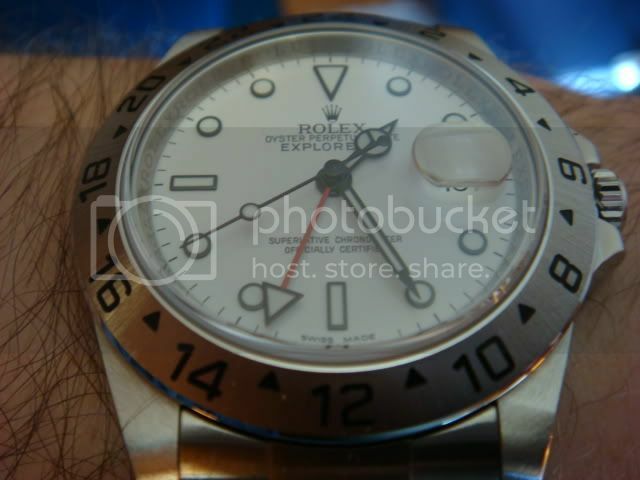 In my opinion, the Rolex Explorer II is the best executed model that Rolex has released for a long time! It's an instant classic that I can recommend highly! SWV and Mr.GMT like this. 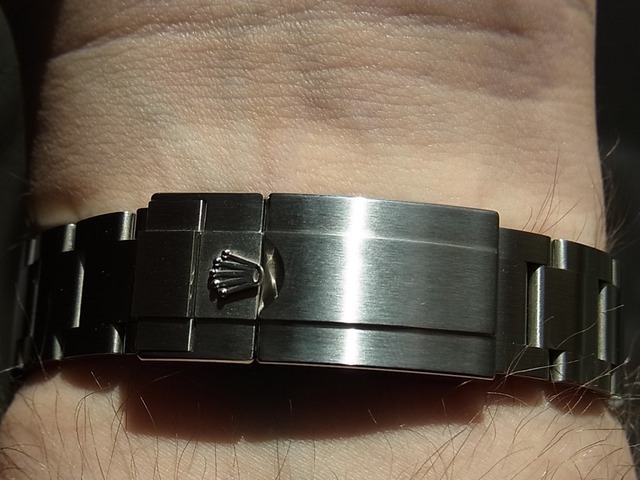 There's no doubt that Rolex did a nice job upgrading the EXP II to what it is today. I personally would have preferred if they had kept the green lum instead of the blue, but I can live with that. And I would have liked it if the sides of the case were satin brushed out instead of shiney. 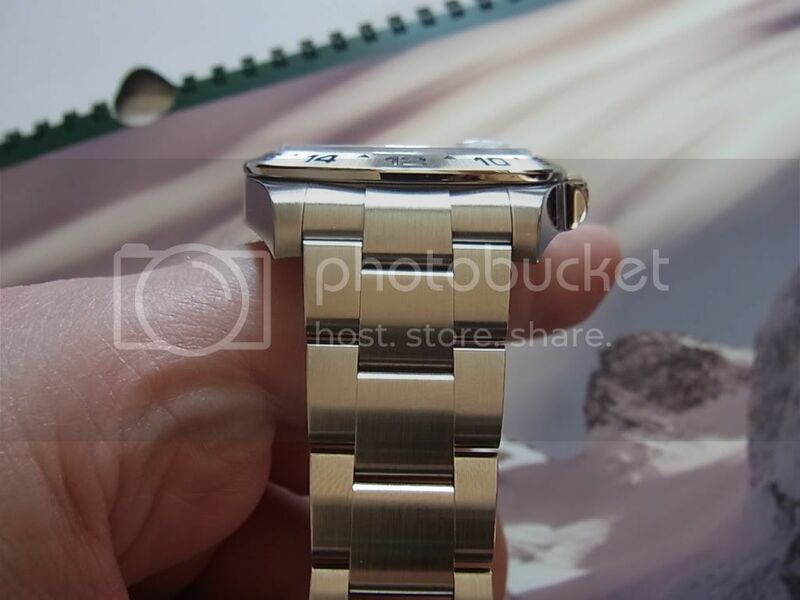 The bigger hands are the biggest advantage and improvement IMO on the new Explorer II. Very easy to see. Bo that was amazing. A great contribution. I've corrected some spelling / grammar mistakes plus (ex)changed a few pics with better ones to better illustrate what I'm talking about. :thumbsup::worship: superb review, Bo - well done and thank you! This is a great contribution to the internet watch community. I should send you various models to review. Can I also keep them afterwards? Great review!! Having had the Exp II on my wrist for the past 2.5 months I can fully concur on your assessments - this is just a really great watch! A couple of things I'd like to add.. 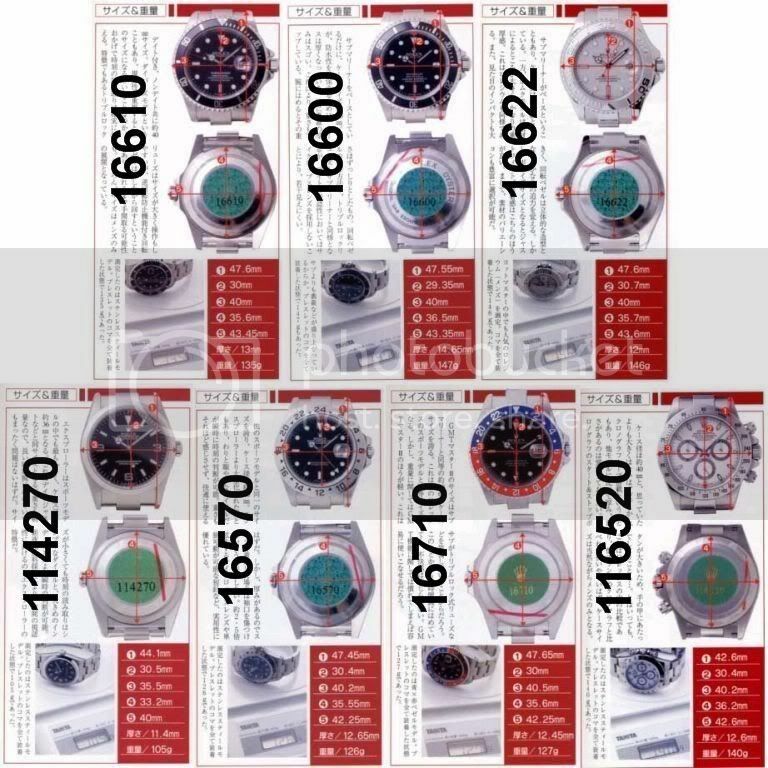 The 1655 24hr hand is also useful in polar regions. The new black hands are good but not perfect. 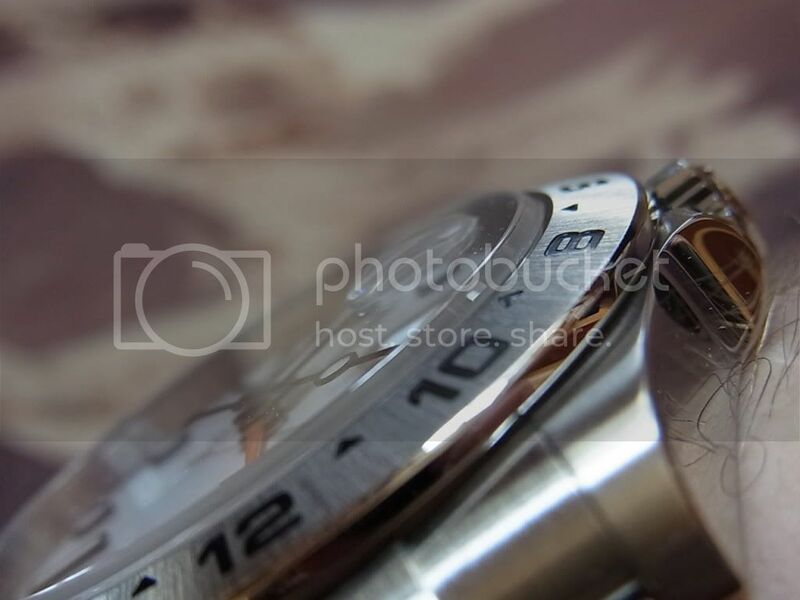 Check out the sides of the hour hand. Not noticeable unless under a loupe though. Mine is a little sketchy on the sides too. Definitely a most informative explorer review. Outstanding, Bo. Thanks for sharing. Nice, Bo. Makes me want one even more.